Bishop William Crean has called for “a new political impetus” to make progress in providing housing. He is the third bishop in as many days to call for action on the housing crisis and homelessness. He acknowledged the recovery in the economy and more employment but added that this “rising tide” is not lifting all the boats. He briefly referred to the repeal of the Eighth Amendment to the Constitution and stated that it leaves Ireland with several fundamental issues unresolved. “It will have profound implications for the kind of society we hope to create for future generations. That’s a reflection for another day,” he stated. He also addressed the issue of climate change and its global nature. He challenged people to convert in heart and mind about climate change and think beyond their own needs to consider their impact on the lives of others. He stated that we should heed the request of Pope Francis to care for our “common home”. He recalled Pope Francis’ memorable visit in August and how, “sadly”, the Pope had some detractors. “We pray for him as he seeks to meet the many challenges that failure of leadership has inflicted on many church communities,” said the bishop. 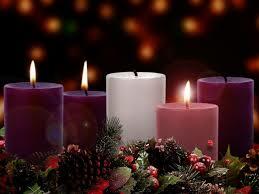 He concluded by speaking of the hope and joy of Advent and Christmas, which celebrate faith, friends and family. His prayers were with the families who have lost a loved one and that those bereaved find healing and consolation. He prayed that all might have a deep sense of gratitude for many blessings and an experience of goodness and generosity that leads to sharing from abundance and plenty. 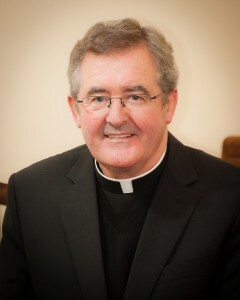 Bishop William Crean is Bishop of Cloyne. He was ordained the 67th Bishop of Cloyne at St Colman’s Cathedral, Cobh in January 2013. The Diocese of Cloyne has a Catholic population of over 150,000 people. It includes most of the county of Cork, except the city and West Cork. Its 46 parishes run from Mitchelstown in the north-east to Rockchapel in the north-west, and from Macroom in the south-west to Youghal in the south-east.